Intended for use in environments such as radio broadcasting, telephone balance units and hybrids interface a telephone connection to the studio equipment. 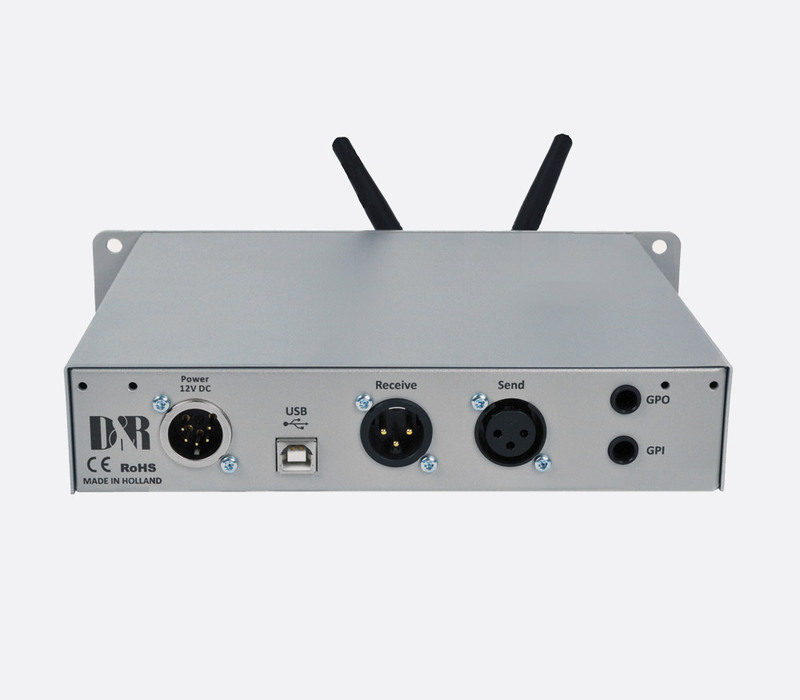 This range includes analogue and digitally-controlled analogue models for use with an analogue PSTN (POTS) telephone line and a digital hybrid for use with the GSM mobile telephone network. 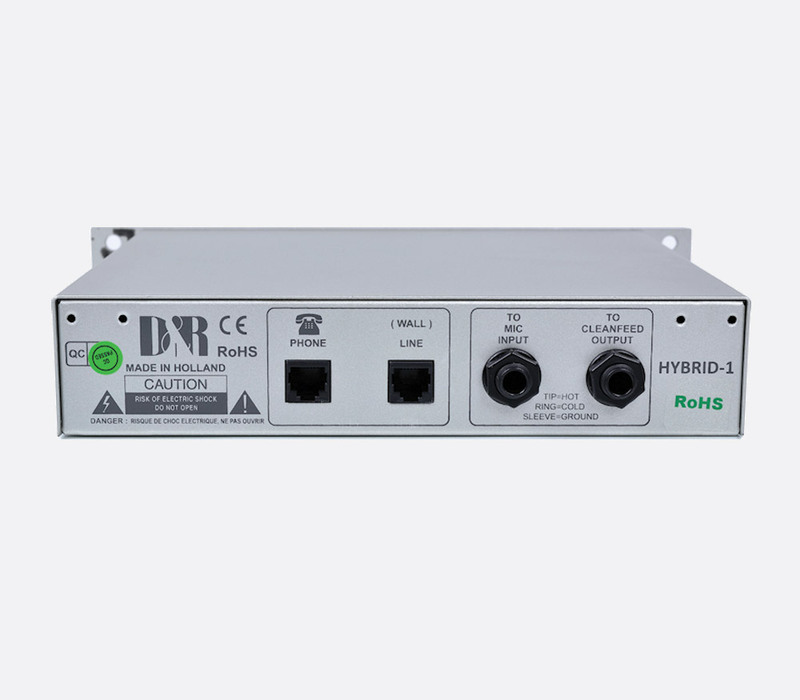 The Hybrid 1 separates the send and receive circuits of a normal, 2-wire, PSTN telephone line, allowing the phone line to be connected to a broadcast mixer via two separate connections, in and out. The call is dialled via an externally connected handset and line connection and the hybrid is balanced manually using controls on the front panel. A power supply is not required as the unit is line-powered from the phone line. The Hybrid 1 is 1U high and half-rack width. The front panel has a large connect button for connecting and disconnecting the caller to the hybrid. There are controls for adjusting the resistive and capacitive balance for optimal rejection of the outgoing cue signal on any given line for a separation figure of 30dB. A separate button mutes communication to the mixer to allow private conversations on the handset. The rear panel has an RJ11 socket for the line connection to the wall phone socket. A second RJ11 socket is for connecting a handset for establishing the phone call and off air communications with the caller. The audio inputs to and from the mixer are on balanced 6.35mm jack sockets. Output: Balanced, 6.35mm jack, -20dB. Input: Balanced, 6.35mm jack, 0dBu. Audio bandwidth: 300Hz - 3kHz. Distortion: Less than 0.1% (0dBu out). Dimensions: 240x44x175 (WxHxD) mm. Weight: 1.5kg (including packaging). This is a 1U analogue hybrid with digital control that separates the send and receive circuits of a normal, 2 wire PSTN telephone line allowing a phone line to be connected to a broadcast mixers via two separate connections, in and out.. Dialling is via an externally connected handset, and line connection and balancing is via front panel controls. This is an active unit with an internal mains power supply. The front panel has a large connect button for connecting and disconnecting the caller to the hybrid. It will flash when there is an incoming call to act as a visual aid. There are variable controls for adjusting the low cut and high cut for optimal sound quality. A separate button mutes communication to the mixer to allow private conversations on the handset. It has automatic gain adjustment of the incoming caller audio when there is audio coming in from the mixer. This prevents the callers from being able to talk over the presenter. The rear panel has an RJ11 socket for the line connection to the wall phone socket. A second RJ11 socket is for connecting a handset for establishing the phone call and off air communications with the caller. The audio input, from mixer to caller is on a balanced female 3-pin XLR, and the audio output, from caller to mixer is on a balanced male 3-pin XLR. There are miniature 'DIP' switches for pre-selected capacitive balance and a screwdriver operated control to adjust the resistive balance. There is a 9-pin D-sub connector that carries balanced audio send and return, plus GPIO. There is also a separate GPI on a 6.35mm jack socket. Send output: Electronically balanced 3-pin female XLR, 10k ohms. Receive input: Electronically balanced 3-pin male XLR, 50 ohms. Common mode rejection: Better than 40dB. Maximum input/output level: +26dBu. Nominal input/output level: +4dBu. Frequency response 20Hz - 15kHz (-3dB variable via HC and LC filters). Bandwidth to telephone line; 250Hz - 4kHz, -3dB ref 1 kHz. Telephone line impedance: Nominally 600 ohms. Power supply 115V / 230V AC, 50/60Hz. Power consumption: 10VA maximum. Dimensions: 430x41x175 (WxHxD) mm. Weight: 2.2kg (excluding packaging). This is a telephone hybrid for the mobile telephone network. It provides 100% separation of the caller send and return audio signals using balanced 3-pin XLR connections. 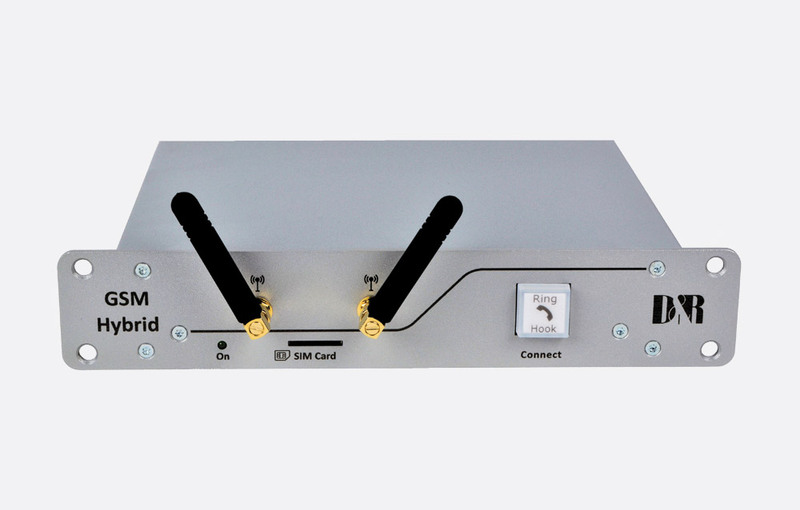 Narrowband 3.4kHz calls are possible using the 2G GSM and 3G UMTS networks; 7kHz HD Voice calls are possible using compatible 3G UMTS and 4G LTE networks with a HD compatible device at each end of the call. The GSM hybrid acts as a normal telephone hybrid when calling land-lines. There is digital processing control of the phone signal with echo cancelling, digital EQ control, and configurable automatic gain control. 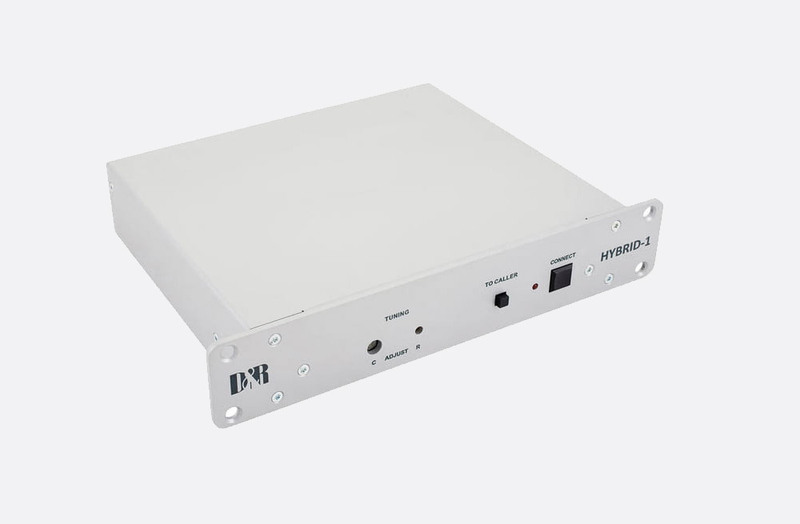 The GSM hybrid is a half-width 1U high unit that has an optional rack mounting kit for two units. The front panel has a full size SIM card slot for the network SIM card. There are two SMA aerial connections for mounting the included aerials on the front panel. It also has a large push button for call connection and disconnection. The rear panel has a 3-pin balanced male XLR for the output connection and a 3-pin balanced XLR female for the input connection. There are two separate 6.35mm jack sockets: one for GPO ring signaling control and one for GPI control of the connect switch. A type-B USB socket connects to a PC for all dialling and remote control functions. There is a 5 pin connector for 12V DC power connection using the included power supply. A comprehensive software application is included for remote control and configuration. This includes input and output metering, level control, dialling, number recognition, and signal strength indication. Line input: Balanced, 20k ohms, +22dBu maximum. Output: Balanced, 50 ohm, +21.5dBu maximum. Frequency response: 50Hz - 7kHz. USB: USB 1.1. GPO: Opto FET 60V/550mA, Pmax=500mW. GPI: Pulldown to ground. GSM Bands: 850/900/1800/1900MHz. Dimensions: 241x174x44 (WxDxH) mm. Weight: 2kg. 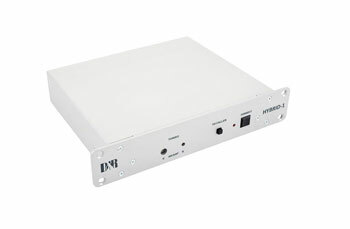 Included accessories: 12VDC power supply, Control software.